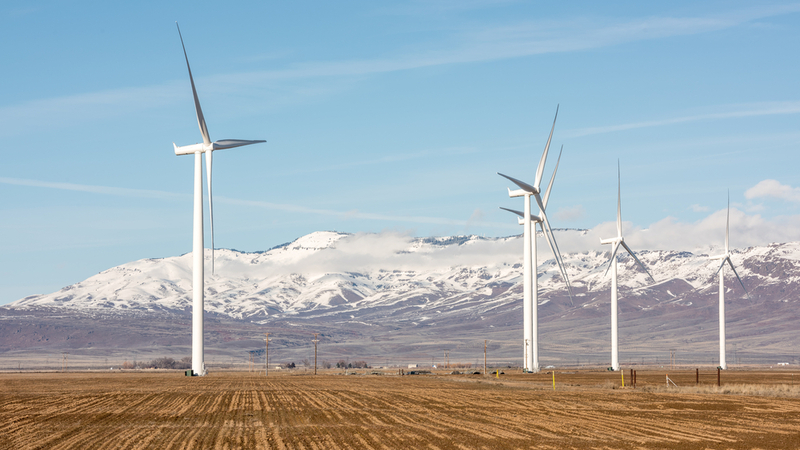 Spanning 21,000 acres, the $800 million Rim Rock Wind project in northwestern Montana is home to 126 wind turbines generating 189-megawatts of power. We mobilized three drill rigs and crews, along with two additional support staff and sent them to the project site near the town of Cut Bank, Montana. We provided a full scope of geotechnical services to prepare for the 126-turbine operation, including drilling, coring, laboratory testing, electrical resistivity testing, geophysical analyses and engineering services. At peak generation, the wind farm generates enough energy to power approximately 60,000 homes. This project represents a significant step forward in the drive for clean and renewable energy.